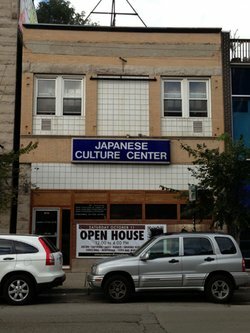 “Growing up in Lakeview during the 1960s, where there were so many Japanese American relocatees, provided a unique childhood experience. Because there were so many families that knew each other in some way or another, there was a sense of safety in that there was always someone, some neighbor or friend of the family, who lived nearby. 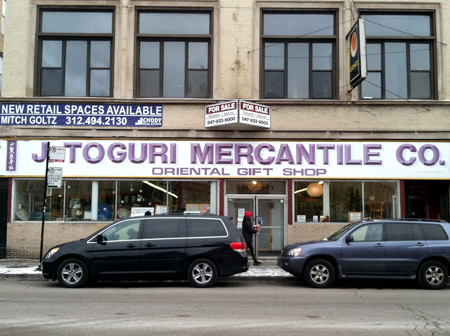 Like many Nisei, my father had a business in the neighborhood and knew many Issei and Nisei, including the owners of the businesses on a long strip of North Clark Street. Everyone seemed to know everyone else. This also provided a sense of self‐policing, as none of us dared do anything to bring shame upon our families. That pressure to ‘not bring shame upon your race’ kept most Nikkei in line. Social pressure was also instrumental in other areas. As a child, I remember my parents talking about a Nisei man who beat his wife. When he walked into Nisei Lounge, a local tavern, everyone turned their backs to him and let him know that ‘wife beaters were not welcome there’ and that he could return when he began treating his wife properly. “It was always nice to know that if you needed to stop to rest, or you felt uncomfortable by someone following you, there were numerous Japanese‐owned businesses on Clark Street where you could seek safe haven. Among this community certain things were all‐known, that our families had been imprisoned for having Japanese ancestry. It was, and still is, a unique experience to grow up with, to question, and for most of us, to make sure this sort of thing never happens again. It was in this community that we shared experiences and cultural interests. I learned how to make grapefruit yokan from a neighbor, others came over to our place to learn fine tailoring and fine baking from my mother. To some extent, this created a closed community where we could grow up safely. 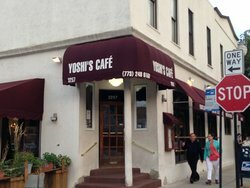 “I grew up in the Lakeview neighborhood from 1970‐1983 on Wilton Avenue, between Waveland and Addison, one block east of Wrigley and a few blocks from my father’s bar, Nisei Lounge. I went to LeMoyne Elementary from K‐8 and back in the ’70s, it was not the upscale neighborhood now known as ‘Wrigleyville’ but a very rough, ethnic working class area of gangs and graffiti known as East Lakeview. “During the hot summer days in the ’70s and early ’80s, I’d stop in occasionally with my friends at the Nisei Lounge because it was air‐conditioned (unlike our apartments). My dad would let us sit at the bar and serve us a ‘mixed drink’ of papaya juice and 7‐Up. He always had papaya juice on hand because so many of the clientele were Japanese from Hawaii. My friends still remember that almost 40 years later. “I and my friends loved eating at Hamburger King because you could get rice with anything. They had the best burgers, fries, rice and gravy, rice pudding, eggs, and the Akutagawa! The Akutagawa dish was named after George Akutagawa, a friend who traveled to Japan with my dad when he met my mom there in 1963. 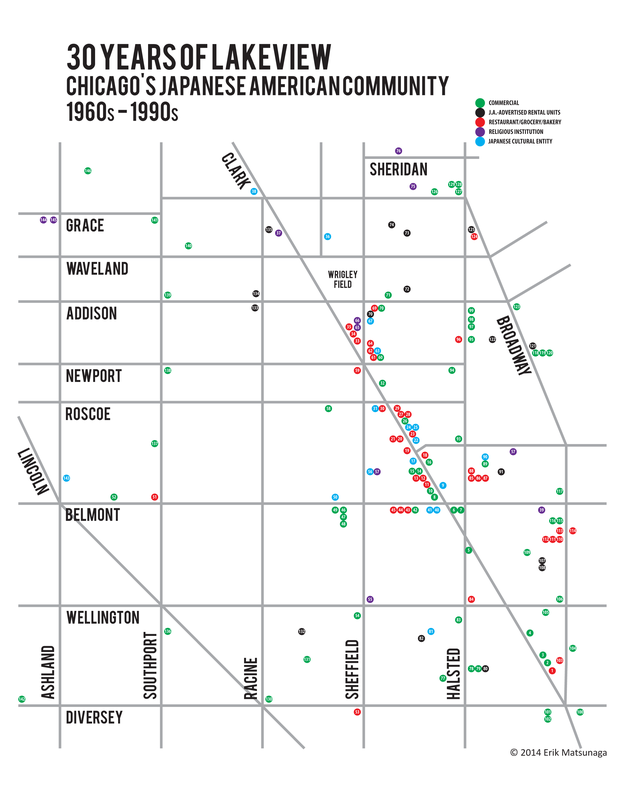 “The East Lakeview neighborhood of the ’70s was a mix of Asians, Blacks, Caucasians, and Latinos. The Puerto Rican gangs at the time were notorious. There were the Latin Eagles, and the grammar school recruits were the Wilton Boys who hung out on the front porch of my apartment building. Growing up there, the every‐other‐day fights after school seemed normal to me. You learned to not wear certain ‘gang’ colors and avoid certain groups so you wouldn’t get beaten up, stabbed, or shot. It wasn't until years later that I realized that not everybody grew up that way and that neighboring school kids hated coming to our school for games because they always got beat up afterwards. “But all that being said, I loved growing up there and still have close friends from those days that I keep in touch with. We used to play baseball, Red Light Green Light, Cops and Robbers, and Cowboy and Indians all in the middle of the street. Our parents thought nothing of letting us go to a Cubs game, Girl Scouts, the park, the lakefront, shopping, the pool, sometimes over a mile away without adult supervsion, as long as we were home by dark. In the early ’70s, the Francis Parker School would show old Japanese samurai movies and serve senbei in the lobby during intermission. That’s when I became a Mifune Toshiro fan. “Even though my family moved to Minnesota in 1964, I kept in touch with my LeMoyne school buddies (also members of the CCP—Church of Christ Presbyteria—girl scout troop that my mother led) and when I moved back to Chicago as an adult we got together and still get together. LeMoyne was at Fremont and Addison and my class and scout troop and CCP Sunday School class were mostly JA. I lived just across from the school on Fremont, south of Addison. Only one of my friends’ families is still in Lakeview—everyone else left for the suburbs or Northwest Side. “Except for the seven years I was in Michigan going to college, I have lived my whole life on Wayne Avenue near Waveland. When I was a kid in the 1950s‐60s, I thought the whole Japanese American community lived within a couple of blocks east or west of Clark Street, from Diversey to Irving Park. “At the same time, I thought of myself as just another American like everyone else. My family stressed that I be an American—although it was always understood that that meant I had to be better than the other American kids. “My elementary school friends (James G. Blaine on Southport) were of the various immigrant ethnicities of the neighborhood—German, Italian, Polish, Irish, and Japanese. At least for my group, we were all just Americans palling around together. I never felt out of place or that I stood out.